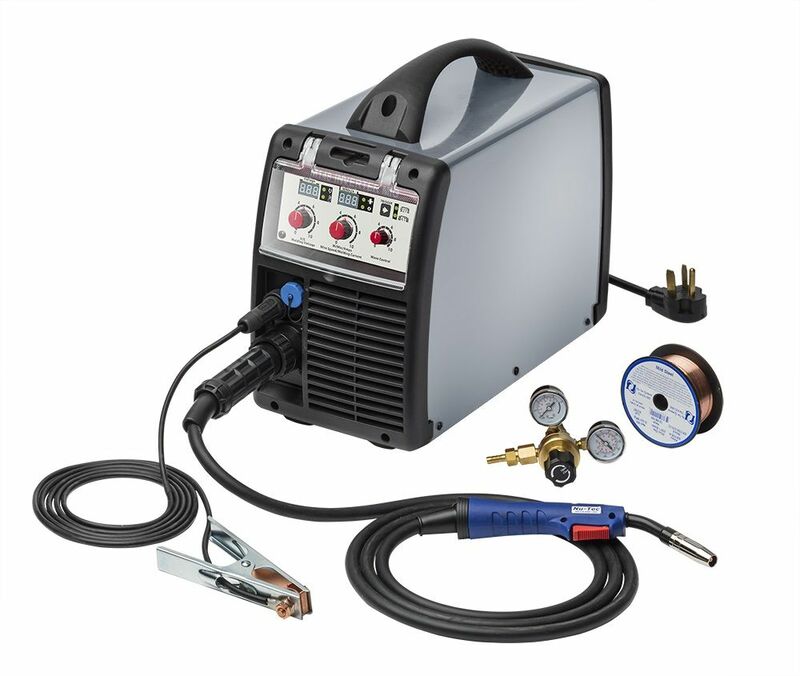 "Free Shipping in Continental U.S."
This 115-volt professional portable inverter system produces a full 140 Amps of welding power on standard outlet and is capable of welding mild steel from 24GA to 1/4" with .023" - .035" diamater wire. Machine is equipped with spool gun ready drive package for NSG226 Spool Gun purchased separately. 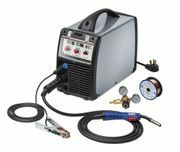 Package includes machine with MB15A industrial style MIG gun with 10' euro-connect cable assembly, HD-work clamp w/ 10' welding cable, brass gas regulator & hose, mild steel and flux core welding wire and complete operator instruction manual. "FREE SHIPPING in Continental United States"
Premium quality Aluminum Spool Gun 300371 Miller® Spoolmate 100 style with Millermatic®, Hobart®, Lincoln®, Thermal Arc® and Tweco/Victor® Fabricator direct-connect is the perfect addition to any MIG welding system. The light-weight compact gun with 12' direct-connect cable assembly enable the operator to weld with light gauge aluminum wire (.023"-.035") up to 12' from the power supply with no feeding problems. This gun is suitable for most MIG power supplies with 24-volt DC drive motors and can direct connect (power & gas plug )to newer Miller® & Hobart® & Lincoln® machines. A Switch Kit is REQUIRED ON ALL WELDERS to "switch" between "MIG wire-feed" and "spool gun-feed" operation. Lower power output machines (115-volt input) may provide deceased drive motor voltage resulting in slow wire feeding. In this case, a dedicated 24VDC power supply is recommended. This heavy-duty all-steel construction portable machine cart is similar to Astro® 8201, Astro® 8202, Clarke® WE7000A, Firepower® 1444-0407, Miller® 300026 and Snap On MIGCARTA models and is perfect for all types of portable MIG, TIG and PLASMA machines. Cart comes complete with open front machine shelf, (No lip to block machine), middle storage shelf, front swivel casters, solid rear axel with steel hub solid rubber wheels, dual gun hooks, dual cylinder chains and welded base shelf with gas cylinder extension for gas cylinders. Sold individually, Some assembly required. Machine Shelf: 11.00"W X 18.00"D Bottom Shelf: 11.00" X 30.00"